This winter’s first snowfall blanketed the center courtyard of Racine’s DeKoven Center at 600 21st St. The 11-acre lakefront campus serves as a Retreat and Conference Center, and wedding and special events venue. The New Year’s arrival brings new ideas and opportunities for discovery and enlightenment at Racine’s DeKoven Center. 2018 was a good year at DeKoven, as we welcomed 75 wedding celebrations and hosted nearly 2,000 people from around the country and beyond at more than 70 different retreat events. Last year also brought the launch of DeKoven’s seasonally-themed dinner series, “Dine,” which drew people from throughout the region to enjoy the setting and services of our historic, lakefront campus. And we closed out the year with our first Christmas Eve retreat, providing respite to those in search of comfort, meaning and joy during the busy holiday season. Such diversity of events can also be found here in 2019, as The DeKoven Center calendar features both new programs and traditional favorites in the coming months. Public offerings will range from a Lenten Retreat, March 1-3, featuring the teachings of Canon Katherine Clark, to an innovative summer retreat that will explore “The Gospel According to Dr. Who” (https://www.doctorwho.tv/), complete with a Tardis on the grounds. We are also developing fresh ideas for this year’s “Dine” series, and exploring various options for expanding DeKoven’s festive holiday events. All of that and more fulfills DeKoven’s mission of providing programs for spiritual growth and reflection, as well as facilities for conferences, retreats, meetings, social events and recreation. But, in order to continue its legacy of inspiration, exploration and celebration — which dates back to the property’s 1852 founding as the Racine College — the nonprofit foundation that runs The DeKoven Center needs the support of the greater community. Like any historic property, the center’s lovely, 19-century buildings are forever in need of restoration and repair. Recent years have brought improvements such as the air conditioning of St. John’s Chapel and the larger event halls in the east buildings. And, as we strive to make DeKoven’s facilities as comfortable and accommodating as possible for all of our guests, there are other projects still waiting to be done. First on that list for 2019 is the installation of air-conditioning in the guest rooms at Taylor Hall which, like other buildings on campus, is listed on the National Register of Historic Places. Built in 1867, Taylor Hall was originally a dormitory for students and faculty of the Racine College. Today, the stately hall serves as the heart of DeKoven’s Retreat and Conference Center. Its historic charm attracts religious and secular groups from around the world — many of which return year-after-year for retreats, workshops, seminars and other programs. Guests tell us that they feel “at home” in Taylor Hall, which offers lodging for up to 85 people, as well as full-service dining facilities, elegant meeting rooms, a small chapel, a library and a gift shop. By adding air conditioning to the guest rooms we will be able to provide even more comfort to visitors on summer’s hottest days. As more people discover DeKoven’s unique campus and offerings, we are also looking at other improvements which would allow us to accommodate larger groups. For more than 160 years, The DeKoven Center has served as a beacon of education and illumination for our community and well beyond. Our goal is to not only preserve that legacy but to build upon it. Located along Lake Michigan’s bluffs at 600 21st St., The DeKoven Center is a nonprofit organization, governed by a board of directors with representatives from throughout the community. 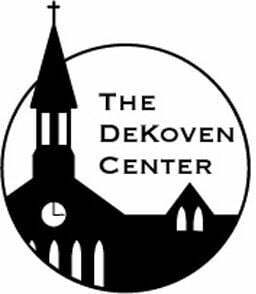 To learn more about the center and its work, go to www.dekovencenter.org. You can also follow DeKoven on Facebook at www.facebook.com/DeKovenCenter or call the center’s offices at 262-633-6401.